Don’t forget that the barbecue at Rother Valley is happening on the 2nd September at 12:30. Feel free to bring a picnic or portable barbecue, all barbecues are fine as long as they are raised above the ground. There will be games such as football and rounders, and if you have any other ideas feel free to let one of us know or simply bring something along on the day. We always have a great time and a lot of laughs so bring the whole family along. 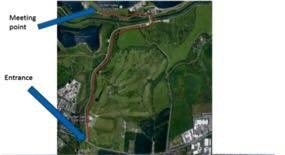 We will be meeting by the lake next to the Sheffield Cable Waterski Centre as shown in the images attached. Please note there is a £5 entry fee per car to Rother Valley.